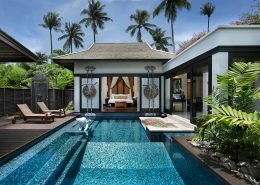 Rosewood Phuket opened in November 2017 and marks the first Southeast Asia resort for the prestigious Rosewood Hotels & Resorts® brand. 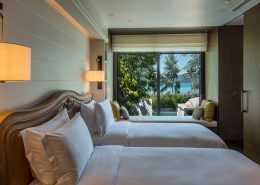 At an exquisite location along a 600-meter beachfront at Emerald Bay, Rosewood Phuket is a tropical beach hideaway akin to an ideal ocean village. 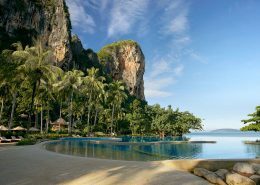 A beach-lovers paradise that guarantees guests a luxurious getaway of seclusion, wellbeing & tropical bliss. 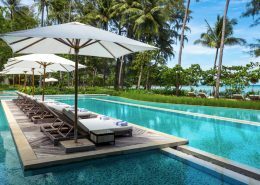 Rosewood Phuket opened in November 2017 and marks the first Southeast Asia resort for the prestigious Rosewood Hotels & Resorts® brand. 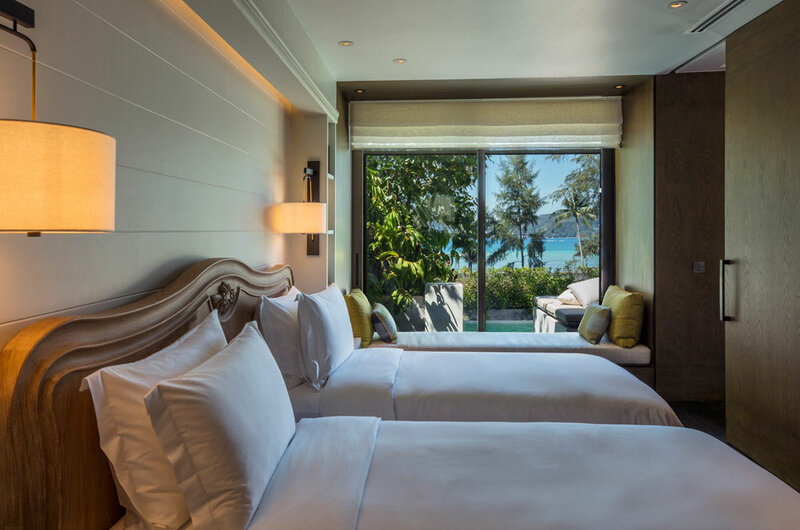 At an exquisite location along a 600-meter beachfront at Emerald Bay, Rosewood Phuket is a tropical beach hideaway akin to an ideal ocean village. 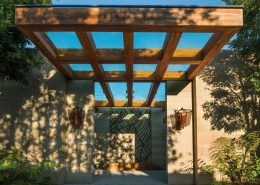 Innovative architecture with subtle Thai influences blends organically into a lush natural landscape. Featuring 71 luxurious pavilions & villas, each surrounded by lush tropical landscapes, floor-to-ceiling windows, infinity pool, relaxed outdoor seating and a day bed. 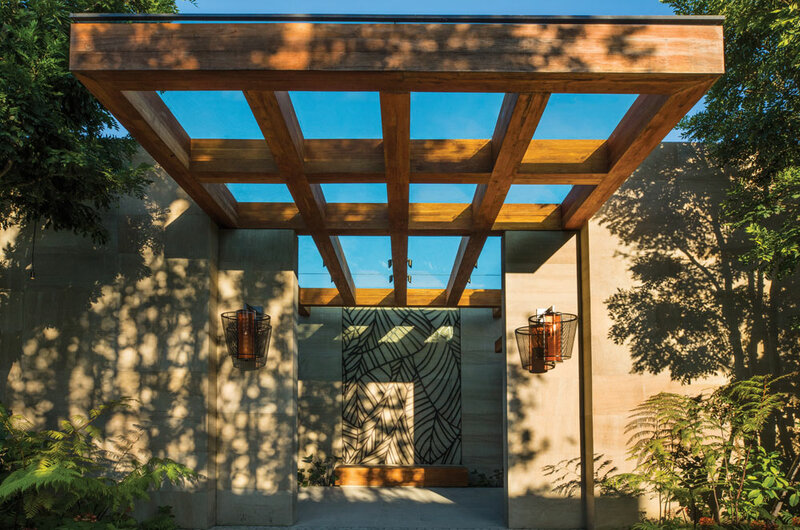 For guests who like to keep active, Rosewood offers an array of activities at the secluded setting of Emerald Bay. 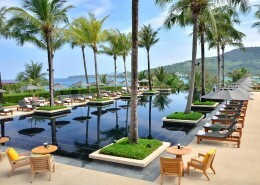 Rosewood Phuket features four distinct restaurants and lounges set against the stunning backdrop of Emerald Bay. 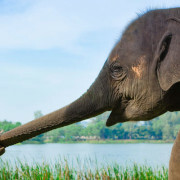 With authentic Thai dishes served at the rustic, fisherman’s village-style Ta Khai, Italian cuisine presented at Red Sauce, simply prepared seafood savored at The Shack and a chic poolside ambiance prevailing at Mai, guests discover an array of sophisticated culinary journeys among the best on the island. 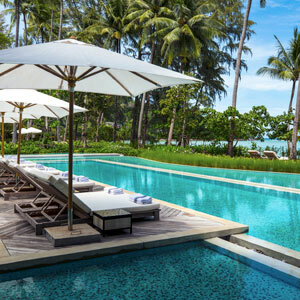 Rosewood Phuket is nestled on a quiet headland, surrounded by bustling seaside towns stretching all along the southwest coastline, while the cultural heart of the island, the historic Old Town, is a short drive across the island’s mountain interior. The ultimate tranquil beach side paradise. Valid for travel to 16 Apr – 31 Oct 2019 (block-out dates & high season surcharges apply). Sale to 30 Apr 19. My wife and I stayed in an Ocean View Pool Pavilion within 7 days of the resort open. The room was fabulous with great views over Emerald Bay and the beach. The rooms and public areas are not only fantastically well designed they are beautifully fitted out to the highest, latest standard, contemporary yet warm, interesting with lots of local themes. The architects/designers/landscapers, builders etc. have done an outstanding job, it’s just beautiful. The pool area is spacious and adjoins the beach and is also beautifully landscaped. We were there for 3 nights and ate at 3 of the restaurants. The “shack” is informal and pool side, it had a great menu choice with a nice balance. The food was excellent, well thought out, well presented and more importantly great flavours and tastes. We thought the prices were very reasonable too. 25% OFF RATES. Book by 30 April 19. *Terms & conditions apply: Valid for travel 16 Apr – 31 Oct March 2019. High season surcharges apply. Prices shown are a guide only, based on low season availability & subject to change. Price per adult, twin share valid for new bookings only. Other conditions may apply.